O.T. Genasis drops the new remix to his latest single, "Push It," featuring Remy Ma and Quavo. It's a big week for O.T. Genasis, the L.A. artist with a knack for catchy, hard-hitting trap singles like "CoCo," "Cut It," "Do It," and "Push It." The latter three tracks were all included on last year's Rhythm & Bricks mixtape, and ahead of his new project, Coke N Butter, O.T. has decided to drop off the official remix of "Push It," which he named his latest single earlier this year. 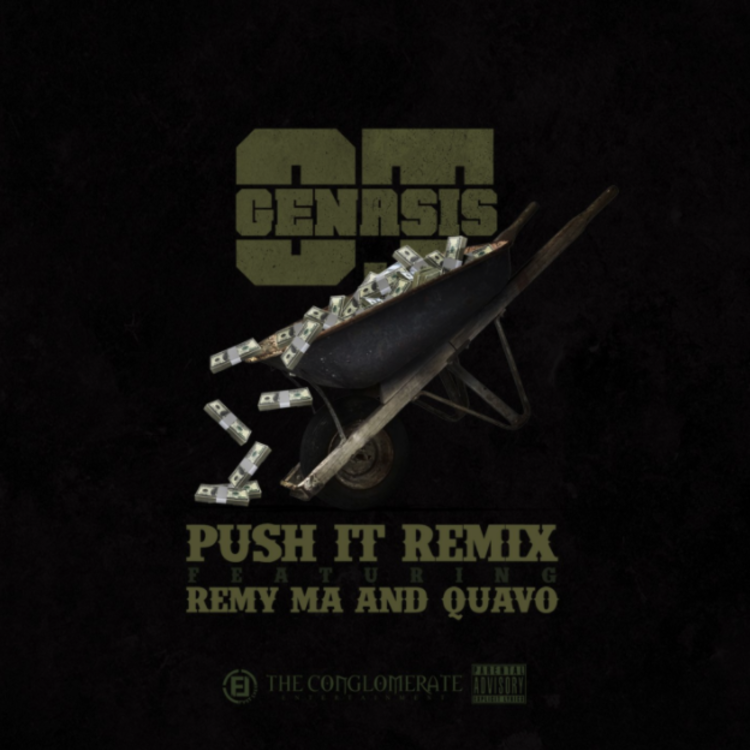 The new remix features the strange but effective pairing of Remy Ma -- still the game's most ruthless dope girl -- and Quavo, who's arguably the feature king of 2016. For a trap single, "Cut It" was hot as hell for a mighty long time, and with the his new remix, O.T. hopes "Push It" will enjoy a similar shelf life. Earlier this week, O.T. shared the first Coke N Butter track, "Right Back," which arrived with a new music video. The full mixtape will drop tomorrow (Nov. 11), exclusively on HNHH.